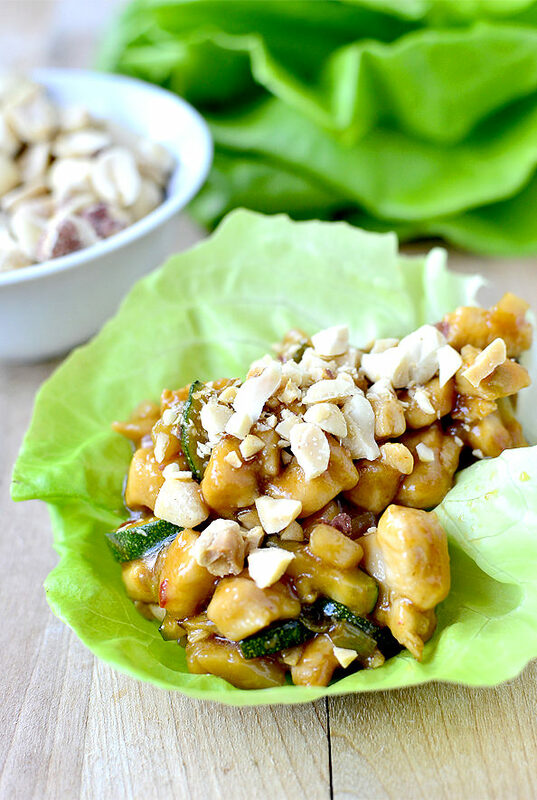 Gluten-free Kung Pao Chicken Lettuce Wraps taste like they came straight out of a restaurant! Hey everyone, I hope you had a wonderful weekend! 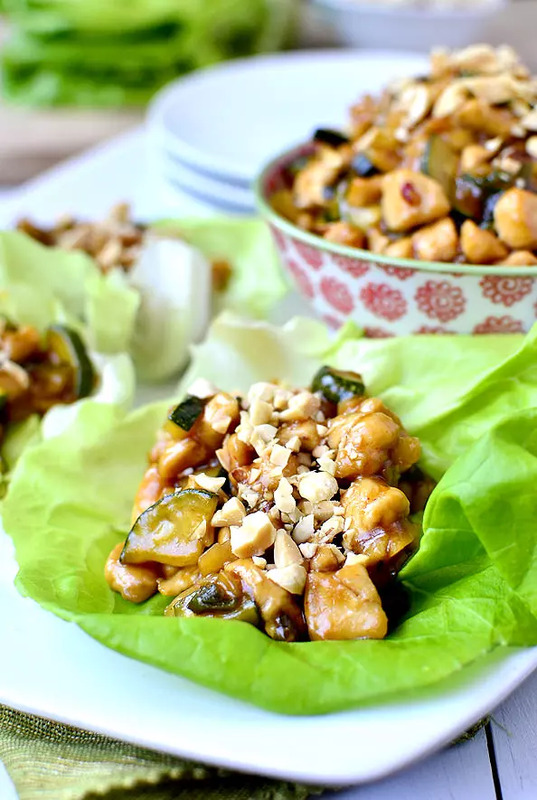 There’s little time for chitchatting today because I want to get right to the recipe I’m thinking you’re going to want to make for dinner TONIGHT – Kung Pao Chicken Lettuce Wraps. I can’t even handle how delicious they are! 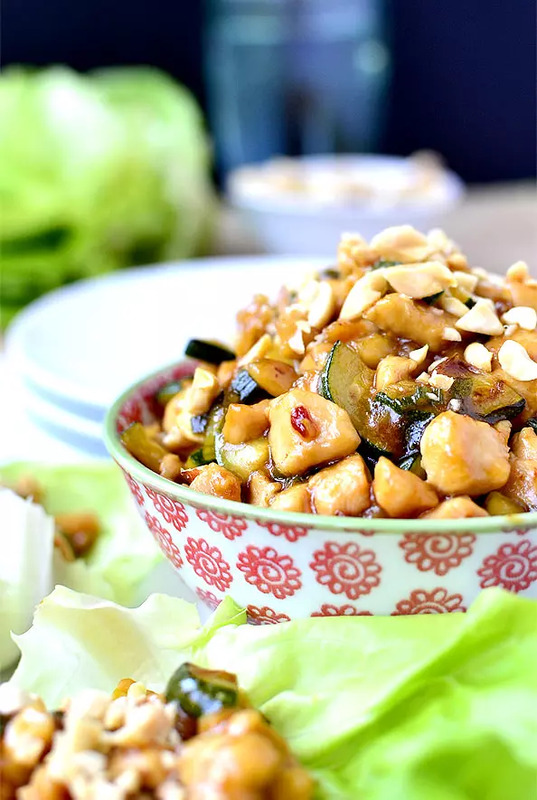 Anyway, it was harder than I thought to watch tray after tray of delicious-looking sushi pass us by, and I’ve been craving Asian-style dishes ever since, so I set out to recreate one of my favorites last week – Kung Pao Chicken. Now, the day before that Ben came home from work and declared he was going to be eating low-carb for the foreseeable future, which went down the drain the following afternoon when he had two baked potatoes that he ate like apples for lunch. Prior to learning that fact though I came up with these lower-carb Kung Pao Chicken Lettuce Wraps that ended up so over the top delicious that I made them two nights in a row. They’re my favorite take out fake out dish to date and taste like they came straight from a restaurant! Chopped chicken and fresh vegetables are quickly stir fried then simmered in a killer Kung Pao sauce which boasts that signature sweet heat. The mixture is piled onto fresh lettuce leaves, versus a big pile of rice, then sprinkled with chopped peanuts. UNBELIEVABLE. They’ve got the perfect amount of heat, the perfect amount of sweet, and the chopped peanuts gives the dish such a satisfying crunch. On top of all that they’re really easy to make. Ben and I actually tag teamed cooking them the second night. I was in the middle of stir frying the chicken when we heard the tell-tale chirp of a smoke detector with a low battery. For the love. Why do those things always go off at night? Anyway, we took turns standing below the spot where we thought the offending detector was, because they only beep once a minute you know, shuffling all over the house just staring at the ceiling. Point being, you can’t screw this dish up. 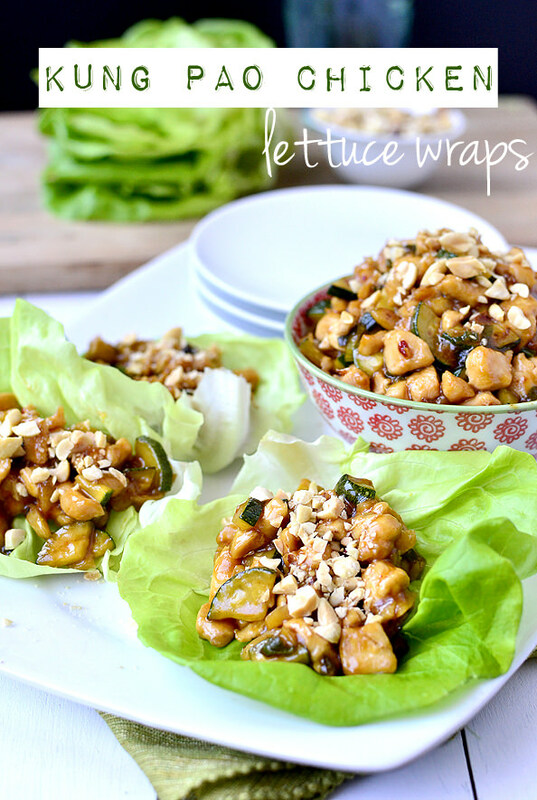 It pretty much took 3/4 of a person to whip up these yummy Kung Pao Chicken Lettuce Wraps, which you will wholeheartedly adore! 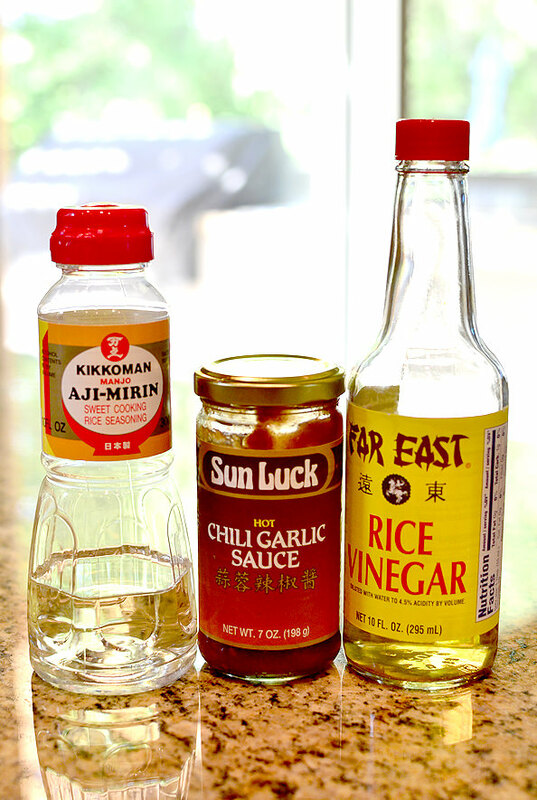 Start by making the Kung Pao sauce which calls for a few of my favorite, far-east sauce ingredients I always keep in the house: mirin, a sweet cooking wine (if you can’t find it sub in Riesling wine,) chili garlic sauce, there should be several brands at the store to choose from, and rice vinegar, which is also a common grocery store find. You’ll be able to locate all these ingredients grouped together in the Asian-foods section of your grocery store. Combine the aforementioned ingredients with gluten-free tamari or soy sauce (dish will not be GF if using soy sauce,) and a wee bit of both sesame oil and brown sugar. In a separate bowl, stir 1/4 cup water into 1 Tablespoon corn starch, then pour into the tamari mixture and stir to combine. Sauce = done! Next chop up 1lb chicken. I chopped mine really small to get the real restaurant experience, plus it’s easier to pile high onto lettuce leaves that way. 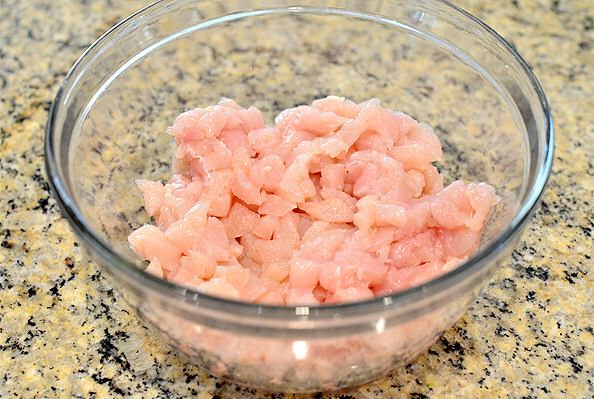 Add the chicken to a big bowl then stir in 1 Tablespoon gluten-free tamari or soy sauce and 1 Tablespoon corn starch and then mix until every piece of chicken is coated. Time to get cookin’! 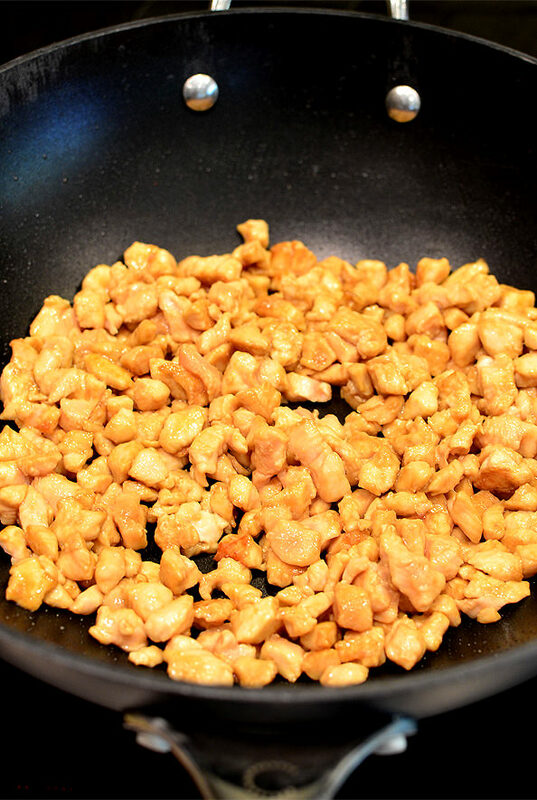 Heat 1 Tablespoon vegetable oil in a large, nonstick wok or skillet over medium-high heat then add the chicken and stir fry until cooked through, and then remove to a plate. Next, stir fry the veggie portion of the program which includes 1/2 an 8oz can sliced water chestnuts that have been chopped, 1 small chopped zucchini, and 2 chopped green onions. Heat an additional Tablespoon vegetable oil in the wok then add all the veggies and stir fry until crisp tender. Add 1 clove minced garlic then stir fry for 30 more seconds. Finally, add the chicken back into the wok with the sauce then let the whole thing bubble until thickened, about 2 minutes. Let the Kung Pao chicken mixture cool for a few minutes then pile into lettuce leaves and top with chopped peanuts. I used butter lettuce cups for these wraps, but we also loved them with plain ol’ iceberg lettuce leaves. Whatever you decide, open wide! 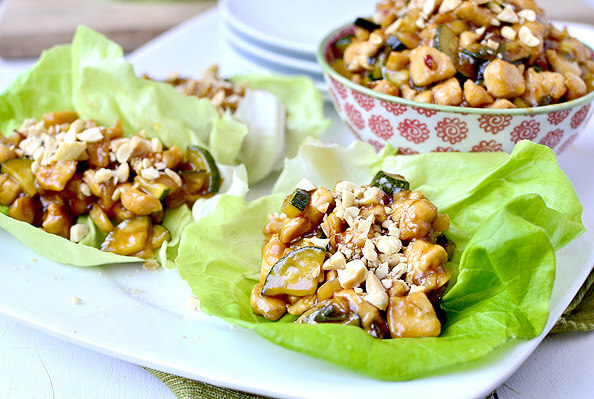 Kung Pao Chicken Lettuce Wraps taste like they came straight out of a restaurant. My favorite take out fake out dish to date! 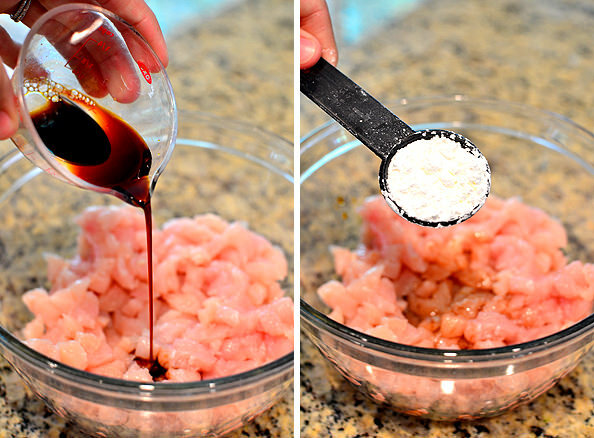 Add chicken, 1 Tablespoon soy sauce or gluten-free tamari, and 1 Tablespoon cornstarch in a bowl then mix to combine. Add remaining 2 Tablespoons soy sauce or gluten-free tamari, mirin, chili garlic sauce, brown sugar, rice vinegar, and sesame oil in a bowl then stir to combine. In a separate bowl, stir water into remaining Tablespoon cornstarch then stir into soy sauce mixture. Set sauce aside. Preheat 1 Tablespoon oil in a large, nonstick wok or skillet over medium-high heat then add chicken and stir fry until cooked through. Remove to a plate then set aside. 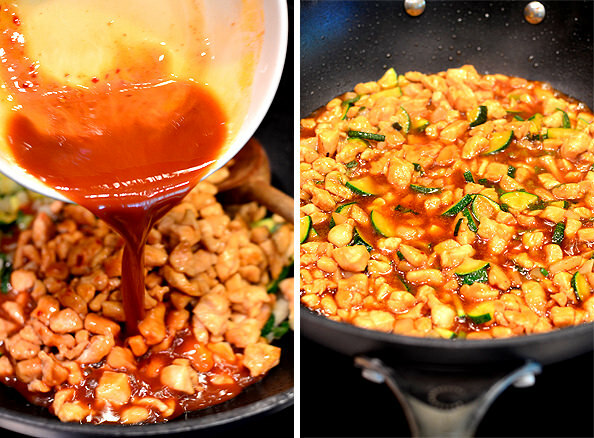 Heat remaining Tablespoon oil in wok then add zucchini, water chestnuts, and green onions. 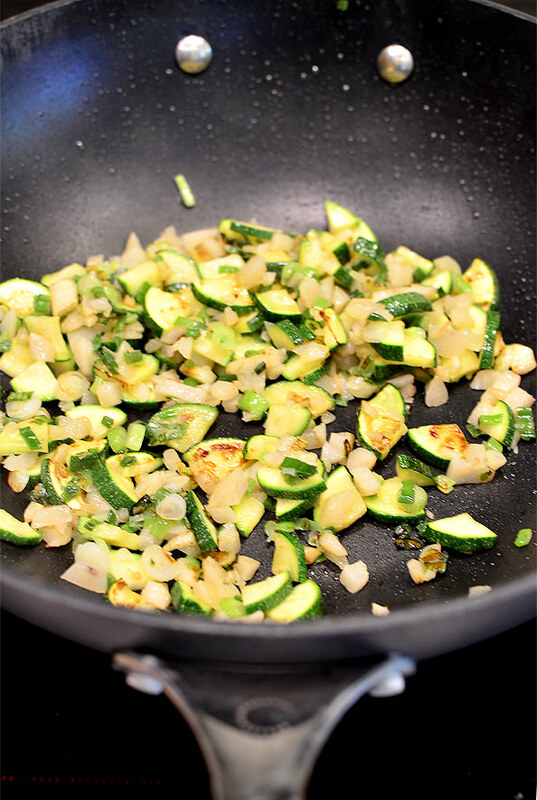 Stir fry until zucchini is crisp-tender, then add garlic and stir fry for 30 more seconds. Add chicken back into wok then pour in sauce. Simmer until sauce is slightly reduced then let cool slightly before serving over lettuce and topping with chopped peanuts. I cannot stress to you how mouthwatering these wraps are – make them ASAP! Loving this! What a delicious meal to make at home. Looks even better than PF Changs! I love lettuce wraps! 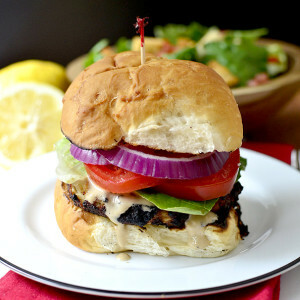 I like to chop my chicken small too – these look awesome! It helps if the chicken is a little frozen too when you have to cut it super small. 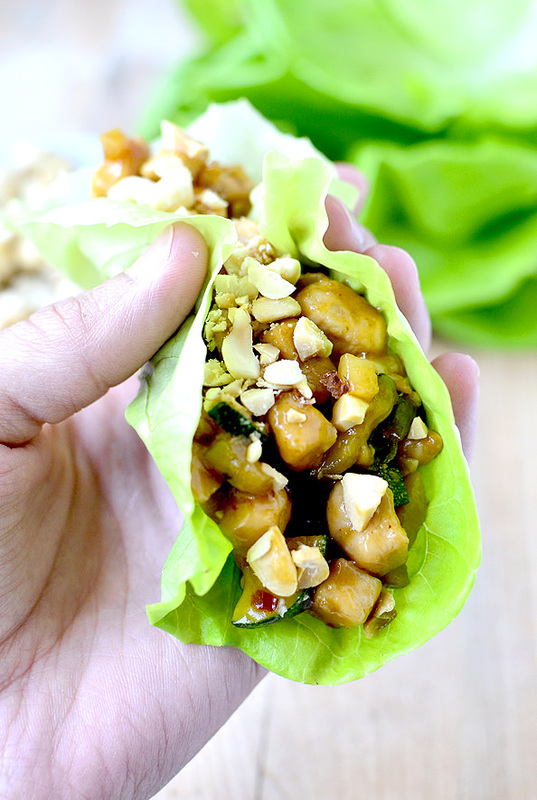 I love lettuce wraps and since these are super easy, they’ll definitely make our menu soon! thanks, Kristin. Well yes from the pictures they are mouthwatering so what will they be when I’m holding one in my hand? I will be printing this and handing it to my wife with a smile, “please honey.” She is the cook in the house. Oh yum. That looks so good and perfect for summer. The Chinese restaurant in our town has amazing Kung Pao Chicken, but I never know how much oil and stuff is in it! Excited to make it at home :) Great recipe! 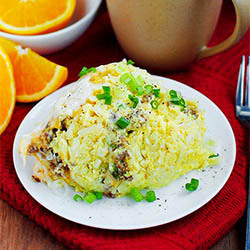 This looks like a recipe I need to add to my list ASAP – yum! These look SO delicious. Perfect lunch or dinner! Would they be too spicy for kids or are they pretty mild? these look delicious, I love a good lettuce wrap! I got a kick out of your smoke detector chase. We came home from 11PM church services Christmas Eve to a low battery signal and it took an hour to figure out which detector it was. Then we found we didn’t have any batteries – it was a l-o-n-g night. And I can empathize with Ben re: no-carbs. I know it would be a good idea, but I can only go about 24 hours before I binge. I made it tonight and did add the mushrooms- excellent addition!! It’s like they know when we go to sleep! i love how fast these recipes are. just chop everything and throw it together and done. my favorite type of cooking! 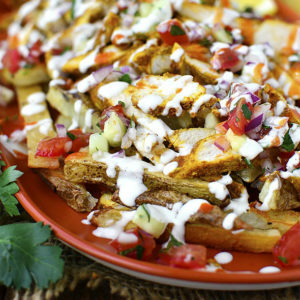 Yum, I want to make this! 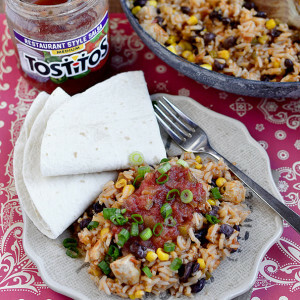 What can I substitute for the chili garlic sauce if I am making this for little kids? I would just add another clove of garlic if you want to omit it entirely. Truly the chili garlic sauce isn’t that spicy though, so you could just knock it down to 1 teaspoon to get the chili flavor! It’s only 9AM, but nothing sounds better than these. Amazing! I am salivating at my desk right now. I CANNOT wait to make this. I seriously just want to leave work and go home and swim in this!! I needed this! I’m doing paleo right now, and have been looking for the perfect, simple recipe for lettuce raps! YAY! Yum! This dish looks to be the perfect menu item for my next girl’s night! Which bar/sushi restaurant did you go to in KC for happy hour? These look fantastic. I love lettuce wraps, especially in the summer. Can’t wait to try them! Wow, looks delicious! I’m an admitted cooked zucchini hater though. Any suggestions on another veggie to sub? Any other veggie that you like would be fine – green bell pepper, broccoli, etc! I like to use romaine for my lettuce wraps…just line it up right down the middle and the rib holds up perfectly. Love the tutorial!! And the wraps are making me hungry!! 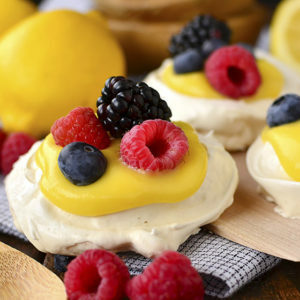 Oh goodness, these look amazing! You convinced me! I read the post before my weekly shopping and picked up all the ingredients! My family was so impressed! I served it with lettuce and also rice and I tripled the recipe. Thank you for yet another recipe that makes me look like I know what I’m doing and that my family devoured. This looks so good I can’t wait to make it!!! 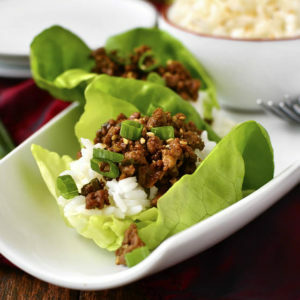 these lettuce wraps definitely take me back to my childhood and asian heritage.. i am so craving one right now. they look divine and so beautifully captured! OMG I did the exact same thing w/ the smoke/CO2 detectors! Except I couldn’t figure it out & couldn’t get the “smoke detector” to stop beeping so I ended up calling the fire dept to come out & fix it! They couldn’t figure it out right away either & ended up making 2 trips & replacing half our smoke detectors before finding the culprit! Yesterday I had quite the craving for Asian food so I polled everyone in my office to find out how far I would need to walk to find good Asian food. The results were underwhelming so I headed towards a food cart I’d been wanting to try instead. As luck would have it, I bumped into an Asian food cart along the way and had a pineapple mango curried peanut dish. SO. GOOD. All this to say, it fed my Asian craving but now I want more! Can’t wait to give this a try tonight! My husband, who never particularly cares too much for food, declared this “one of the best things I’ve ever made him.” Thanks so much for sharing Kristin – these were delicious! I will definitely be making these again. Where in the Kung po chicken wraps is the amount of kikoi an AJ1 mirin to be added to the recipe? On one of our first dates my husband took me to a Thai fusion restaurant that had really great lettuce wraps. I don’t know why, but I haven’t thought about them since. This just made me remember them, and since we’re on a tight budget, I think I’ll be making these instead of ordering them out! YUM and Thank You! I was recently diagnosed with celiac and am learning about eating gluten free. I’ve been reading your blog for a year or more now and have always enjoyed your recipes. Now I can also appreciate all your wonderful GF recipes! I find that eating gluten free at home is pretty easy but eating out is much more challenging. It would be wonderful to hear some of the tips and tricks you have learned that allow you to continue to enjoy dining out. IGE meals two nights in a row! Don’t usually comment, but I was looking up your recipe for Mediterranean Turkey Meatloaves for dinner last night (a fav of ours that I made a lot when I was pregnant and the smell brought some memories back since it’s been a while since I made them! I was pregnant a little ahead of you so enjoyed reading your blog along with what I was going through) When I was looking up that recipe I saw this one and HAD to make it tonight! Was a big hit and definitely a keeper :) Thanks Kristin!! They should be right by the bamboo shoots in the Asian foods aisle! Wowza! This was soooo good! Made it tonight for my family, DH, me, and 3 teenage sons. I nearly doubled it, and every last bit is gone. I have made another chicken lettuce wrap recipe for about 15 years, and 4 of the 5 of us like this recipe better! Looking forward to the next time! I actually took the recipe, tripled it, added a few pepper flakes, and served it over rice for my family. It was loved by all! Delicious! I added some mushrooms instead of the water chestnuts (just for personal preference). The wraps tasted great and came together so quickly. I will definitely make them again! Good question! It’s easy to avoid soy sauce and imitation crab meat at sushi restaurants (both are off limits for people with CD,) but I’m more concerned about cross contamination. The chefs use the same mat to roll all the rolls and the same cutting board to cut them, including rolls that are fried and not gluten free. In addition they use rags to wipe off the cutting boards in between cutting rolls which, once contaminated, is just smearing gluten over the board over and over. That’s why I’ve been avoiding sushi restaurants, anyway! Okay, that makes a lot of sense! Thanks for explaining to me, I really appreciate that you took the time to answer my question :) I’m heading out to our local chinatown today to hunt down tamari sauce for this recipe as well as rice paper, I’ve been trying to make Vietnamese spring rolls (but my rolling technique needs lots of work still). Have a great weekend! I made this for dinner tonight. So delicious. I did use chopped green pepper (didn’t have any zukes) and added chopped mushrooms. Oh, so good. Thank you for the inspiration, Kristin. I love lettuce wraps! These look amazing!